The consumer operating-system market has largely settled on three different platforms: Microsoft Windows, Apple macOS and various Linux/BSD distributions. 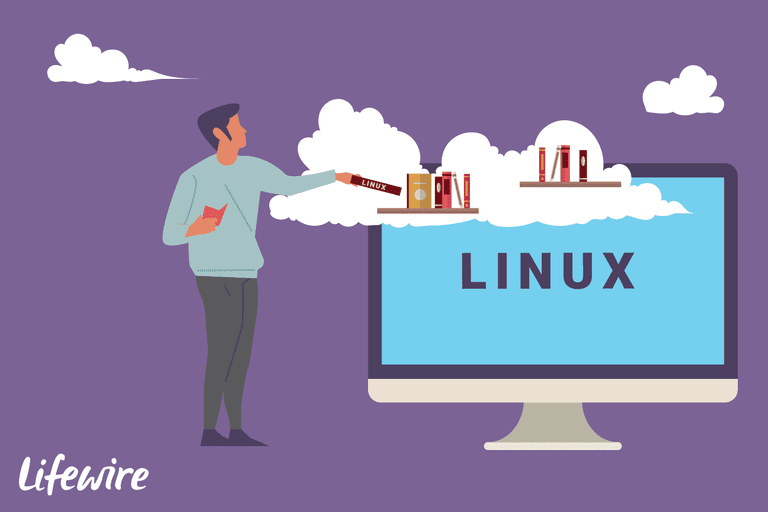 With Linux, the underlying kernel may be the same, but the software around it — apps, skins, window managers, package managers, commitment to free and open-source software — combine in different ways by different vendors in packages called distributions. You don’t download “Linux,” you download a distribution. And over time, various distributions wax and wane in popularity. We highlight six popular distributions. Both Linux as an operating system, and DistroWatch.org as a website, have grown in popularity over the years, so comparing raw counts by year from 2002 vs. 2017 can be misleading. The top-ranking distribution of 2002 (Mandrake, with 473 hits per day) would have clocked in at No. 20 in 2017 with those same numbers — had the distribution not been discontinued in 2012. Distributions come and go, and major variants of distributions (e.g., Ubuntu vs. Ubuntu Mate) are sometimes reported separately. We’ve observed the distinctions maintained by DistroWatch.org, which means that Ubuntu’s total footprint is likely under-stated. We limited our look to the top 25 distributions by year. Some distributions that either grew or declined in popularity aren’t accounted for in those years where they didn’t crack the Top 25. Our emphasis, as with DistroWatch.org, is on consumer-desktop distributions. We don’t consider the server market in this analysis. There's no reliable data about the desktop penetration of various Linux distributions. We rely on DistroWatch.org as a proxy, knowing that some inherently unquantifiable factors (e.g., experienced Linux users downloading favorite distributions directly from the source instead of being mediated by DistroWatch.org) influence these results. By mid-2018, more than 300 separate active distributions are tracked by DistroWatch.org — representing a rich marketplace of design philosophy that's part of the appeal of this robust operating system. From 2011 through 2017, Linux Mint has dominated the ranking list, clocking in at No. 1 for all seven years. Mint — an Irish distribution based on Ubuntu — earns praise for its stability, its variety of supported desktop managers and full multimedia capability out-of-the-box. Mint's developers focus on stability, which is why it favors a conservative release cycle. You won't get bleeding-edge updates, but you'll still be current, and you won't be pressed into service as an involuntary beta tester, either. The Live Ubuntu Desktop is a good way to ensure your Mac can run Ubuntu without many issues. Screen shot courtesy of Coyote Moon, Inc.
Ubuntu rocked the Linux world when it arrived on the scene in 2004. It has ranked in the Top 4 every year since 2005. A full 9.5 percent of all DistroWatch.org site hits for each year's Top 25 belong to Ubuntu. The distribution, run by Canonical Inc., hails from the Isle of Man and is based on Debian. Ubuntu has earned mindshare in part from Canonical's controversial (and now discontinued) Unity desktop manager and the company's attempts to impose a bit more discipline on an often fractious Linux-development universe. It's considered easy to use and boasts a rich application marketplace. Year-over-year growth is a virtue in the Linux distribution world, and by that measure, Debian shines. Its hit count increased from 311 in 2012 to 1,903 in 2017 — and it earned a No. 2 rank in 2015, 2016, and 2017. Debian commits to a slow-and-steady release schedule. Its philosophy is to wait until software is stable and relatively bug-free before it'll incorporate it into the distribution. This conservative approach finds favor with people who prefer to run a stable desktop that doesn't require frequent patching or rebooting. As such, although Debian is a distribution in its own right, it's also the base for many other distributions. As of mid-2018, 135 of 306 recorded distributions at DistroWatch.org base themselves on Debian. Which, arguably, makes Debian's underlying architecture the most popular Linux distribution on the planet, by a considerable margin. In 2002, Gentoo ranked No. 3. By 2012, it had steadily fallen to No. 22, and after 2013, it didn't make the Top 25 list. In mid 2018, DistroWatch.org ranks Gentoo as No. 48. Gentoo's philosophy aims to provide its users with the "near-ideal" tools they need to get the job done. Gentoo relies on Portage as a package-management system that optimizes new software for the specific combination of hardware and software powering the machine. Between 2006 and 2017, openSUSE has never taken the top slot, but it's hovered between No. 2 and No. 6 every year in that period. With an emphasis on software development, openSUSE — a German distribution — aims to provide a feature-rich and beautiful desktop experience. Although openSUSE supports a variety of desktop managers, it's identified with the KDE environment and the YaST package manager. Sometimes, slow and steady wins the race. Since 2005, CentOS has earned an average annual rank of 11.2, putting it just out of the Top 10, but still holding its own in a rapidly changing environment. CentOS ranks among those distributions optimized for server environments as well as desktop clients. Because it tends to provision a predictable base layer of applications, it's useful for package development and server testing. CentOS is robust, feature-rich and stable. It's not the sexiest performer on the market, but it fills a vital niche in the software-development world. Mandrake Linux topped the rankings in 2002, 2003, and 2004, but by 2011, it had fallen to No. 10. The last release of this distribution hit the market in late 2012. The company that sponsored it filed for bankruptcy a few years later. Slackware's popularity hovers in the teens, and in recent years it's failed to crack the Top 25. But the distribution is much loved by hard-core Linux aficionados who appreciate Slackware's different approach to software management. Given that this distribution is favored by experienced Linux users, though, it's unlikely that most of them need to visit DistroWatch.org to download it: They already know where to get it. The distribution aims for "design simplicity" — it tries to avoid changing software from its upstream sources and tries not to limit end-user use cases. To that end, it's highly configurable, although configuration is often managed through shell scripts and command-line installation procedures that may prove daunting to people new to Linux. Slackware is the oldest Linux distribution still actively maintained. What are the Best Star Wars Games of All Time?